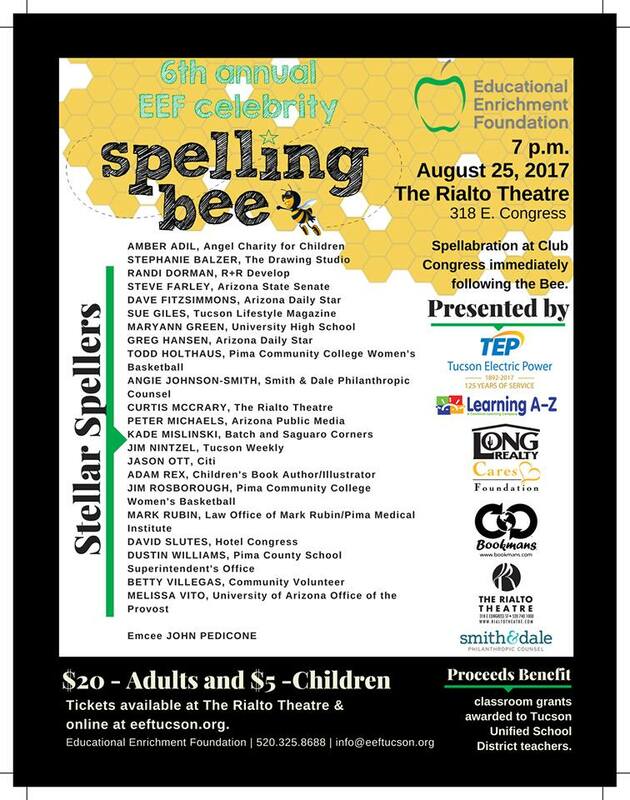 “One notable Tucsonan in the Educational Enrichment Foundation’s 6th Annual Celebrity Spelling Bee lineup will emerge victorious, and teachers across Tucson Unified School District will win big. Emcee for the evening, John Pedicone will keep rivalries in check as proceeds from the event benefit classroom grants from EEF to teachers for classroom supplies, school projects, and desperately needed equipment. 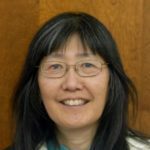 Sponsors include Tucson Electric Power, Learning A-Z, The Rialto Theatre/Tucson, Arizona, Bookmans Entertainment Exchange, Smith & Dale, and Long Realty Cares. 1st place (winner) was CURTIS MCCRARY, The Rialto Theatre, 2nd place to LD 9 Senator Steve Farley. Congrats all for trying to spell correctly for a good cause.